Spring Awakening Noise Demo – TOMORROW! Y’all should get yer butts out to the noise demonstration happening tomorrow on IU’s campus! Meet at the red clock between Ballantine and Woodburn halls at 12.30 PM (that’s noon-thirty) tomorrow, Wednesday March 28th. Bring anything that makes noise (interpret widely…). 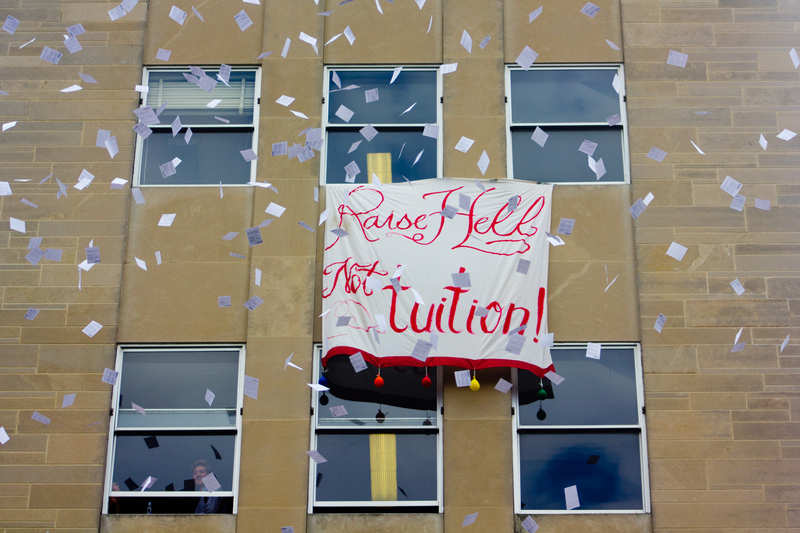 Filed under Action, Event and tagged #OccupyIU, actions, event, Indiana Uncontrollables, IU, students, sweet banners |	Comments Off on Spring Awakening Noise Demo – TOMORROW! Support the Tinley Park Five!